Rajasthan is a state in Western India that is located between Haryana in the north and Gujarat in the South. From fairy-tale palaces and epic forts to colorful festivals and wildlife encounters, this is India at its vibrant best. Rajasthan is indeed a fabulous realm of maharajas and their majestic forts and lavish palaces. 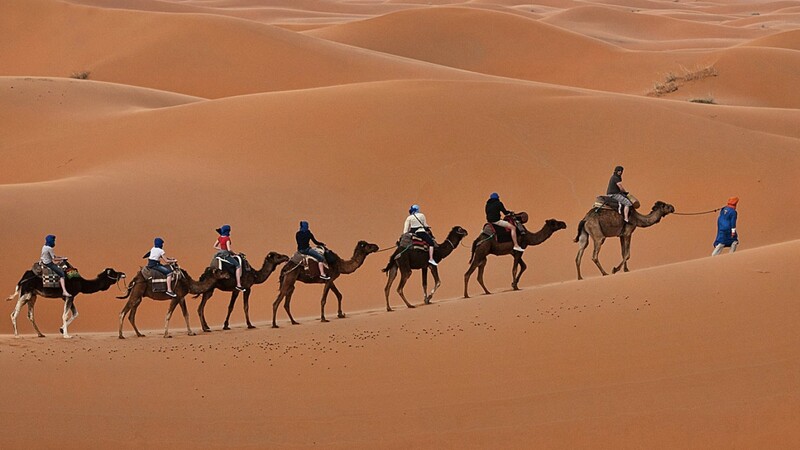 It is a land of deserts and jungle, camels and tigers, glittering jewels, vivid art and vibrant culture. There are enough festivals here to fill your calendar and enough color to fill an artist’s palette. Shopping and cuisine are nothing short of spectacular either. Shop for some local souveniers. Ajmer — Tomb of Sufi saint Khawaja Mohiddin Chasti, a famous pilgrimage for both Hindus and Muslims. Bikaner— famous for its sweets. 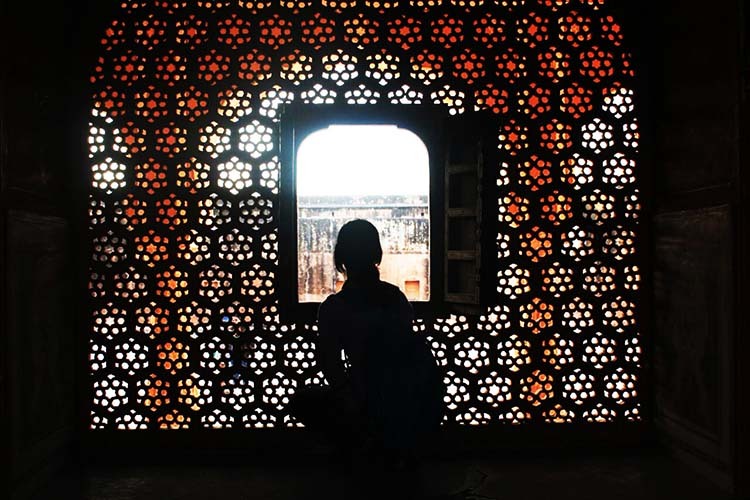 Chittorghar – home to a marvelous fort. Jailsamer- The desert city, famous for its fort, Havelis and of course a night in the desert. 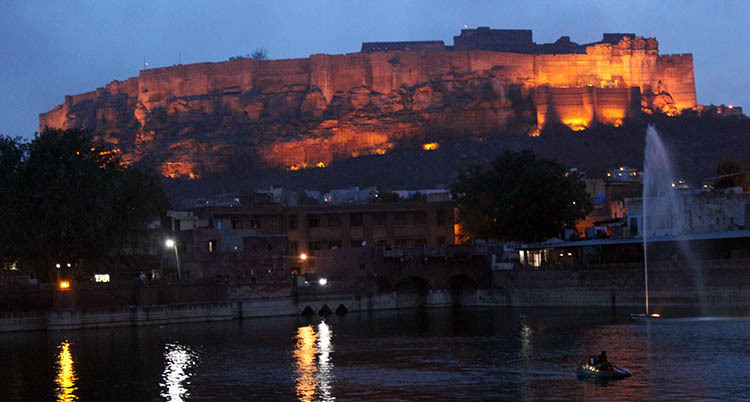 Jodhpur — the Blue City, site of the spectacular hilltop Mehrangarh Fort. Kota – Famous now for their food and coaching centers for education. Udaipur— known as City of Lakes, including Pichola and Fateh Sagar lakes. Mt. Abu – A collection of temples built entirely of Marble located on top of a hill. Here you’ll find a well-preserved and living past – stunning hilltop forts, glorious palaces and humming, bargain-filled bazaars, as well as a wealth of accommodation and dining options. The pink city is sure to amaze you with its grandeur, architecture and history. For a complete list of Things to do in Bangalore, please read Jaipur Travel Guide. The fort of Jaisalmer is a breathtaking sight, like a massive sandcastle rising from the sandy plains like a mirage from a bygone era. The havelis, the fort and its enclosed palace are all carved from the same golden honey sandstone, hence the city’s designation as the Golden City. For a complete list of Things to do in Bangalore, please read Jaisalmer Travel Guide. 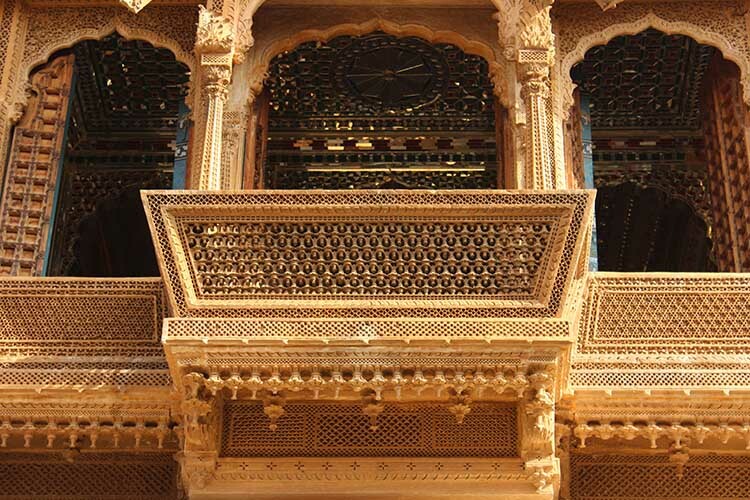 Rajasthan is one state that is filled with forts, Havelis, and monuments in each and every corner of the state. One of the largest forts in India, the Mehrangarh Fort in Jodhpur towers above the rest of the city and is a symbol of elegance. The fort is situated atop a vertical cliff and is in pretty good shape. There is a museum too you can visit which houses various artifacts belonging to the royal times. 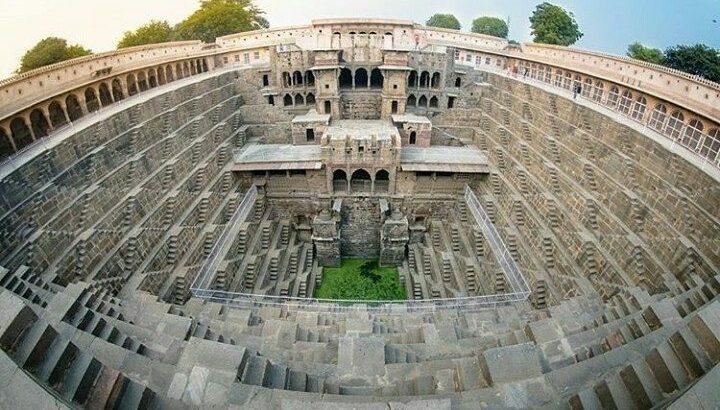 Abhaneri Step Well or Chand Baori as it is popularly known is a shining star in heritage showcase of Dausa District near Jaipur. One of the best things you can do in Rajasthan is to visit the imperial structure and admire its architecture and beauty. The ancient site, once used to harvest rainwater, impresses with its sheer excellence and colossal size. The fort built by Raja Mana Singh I, is an interesting architectural symbol of the royal times. 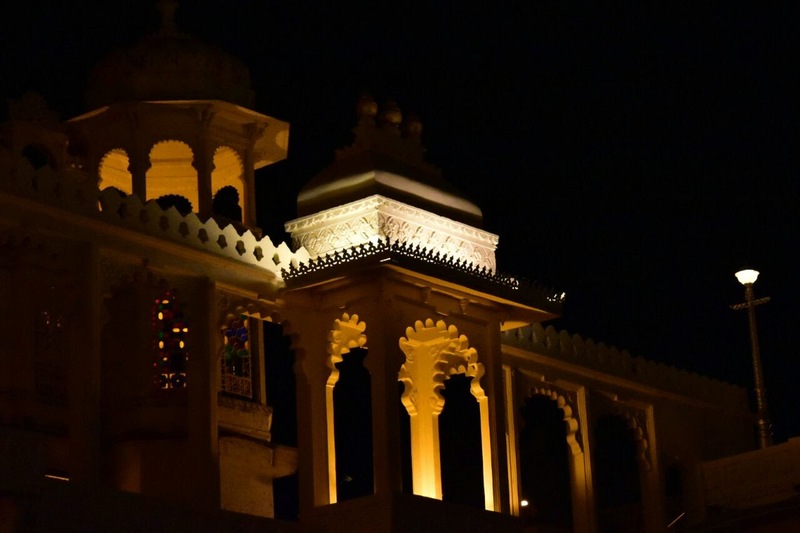 The architecture of the fort is a mix of Hindu and Rajput influences, and like other forts of Rajasthan, you can feel the ornate aura here too. You could go on an elephant ride up to this fort. When in Udaipur, don’t miss out on a visit to Kumbhalgarh Fort. 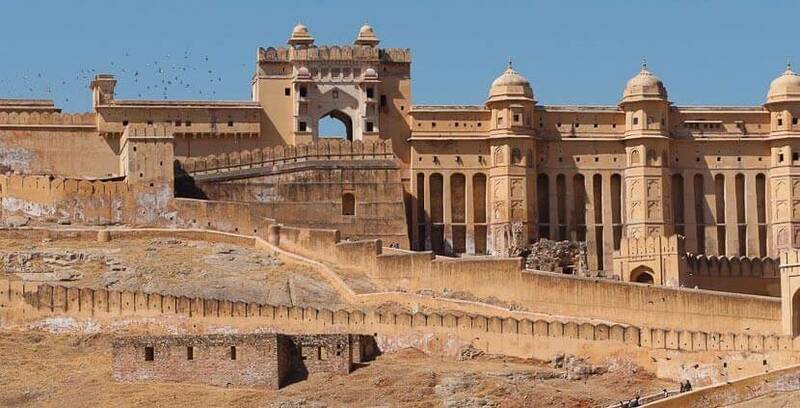 It is arguably the most magnificent of all forts in Rajasthan, with several structures to explore. There is a light and sound show in the evenings to enjoy. You must be prepared to walk a lot here since there is a lot to be explored here. While the ruins and structures of Bhangarh Fort are impressive, the tales associated with them are spine-chilling. 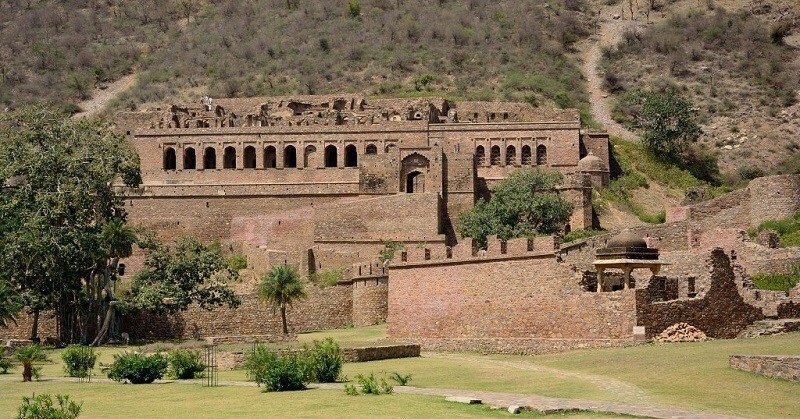 The most daring thing you can do in Rajasthan is to visit Bhangarh. While the nights are known to be most haunting in Bhangarh, some say that the days are equally chilling. Ranakpur is a rustic village of Rajasthan, located close to the city of Udaipur. 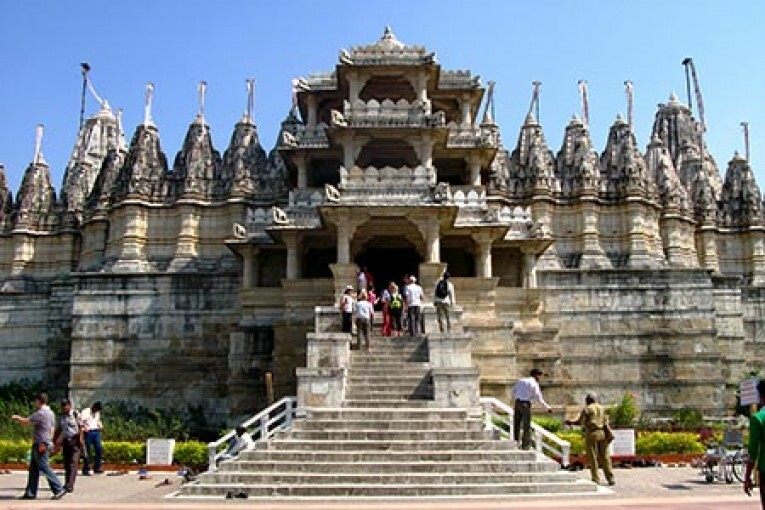 The village is well known for its many Jain temples, the most notable of which is the Ranakpur temple. The village is considered to be one of the holiest places for Jains. 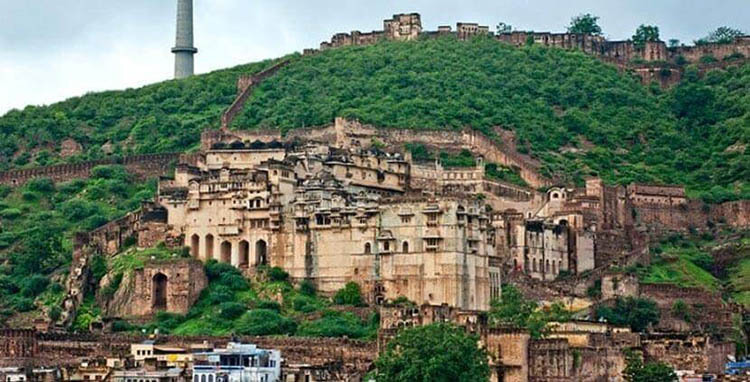 The Bundi Fort in the city of Bundi in Rajasthan is not as well as known as the other forts of the state. However, it deserves a visit for its ornate architecture. The Bundi fort too has a story to tell. Visit the fort and explore the many buildings that lie within its boundaries. Junagarh Fort is located in Bikaner, in the arid region of Thar Desert. It is one of the few forts of Rajasthan which are not built atop a hill. The city of Bikaner has been established around the fort, which houses several temples and palaces, each testimony to the times gone by. Hawa Mahal is a beautiful palace in Jaipur. It is constructed of red and pink sandstone. The palace sits on the edge of the City Palace, Jaipur, and extends to the zenana, or women’s chambers with an amazing exterior facade. 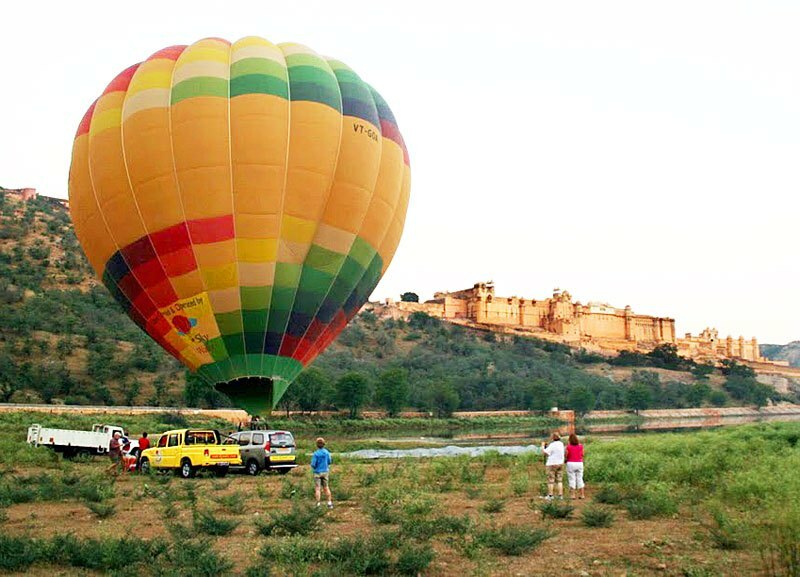 You get to take a hot air balloon ride in Rajasthan. Flights can be arranged from Pushkar, Jaipur and Ranthambore It is an experience like no other and not many places in India have this facility yet, so grab it with both your hands and hang tight! Fateh Sagar Lake is situated in the city of Udaipur. It is an artificial lake named after Maharana Fateh Singh of Udaipur and Mewar, constructed north-west of Udaipur, to the north of Lake Pichola in the 1680s and adds to the beauty of the palace. Sit there sipping hot coffee in the cool evening breeze. The only hill station in the state, its cool atmosphere, and lush green surroundings make it a major tourist spot within the state. The most important attraction, however, is undoubtedly the Dilwara Temples, which is one of the most stunning pieces of architecture in India. If you are a history or architecture buff, this is one of the places you should absolutely not miss out in India. Desert safari is the best way to explore the world famous “Thar Desert”, near the India- Pak border. Tourists can explore the real beauty of Rajasthan villages, their culture, tradition, and colours through this amazing ride on the camels. Explore the Pushkar Camel Fair, a fascinating event where the nomadic tribal peoples of Pushkar and Nimaj decorate, parade and race their camels, hoping to get the best price. The fair is also a spiritual time when Hindu pilgrims pay homage at the temple dedicated to Lord Brahma and bathe in the holy Pushkar Lake under the full moon. 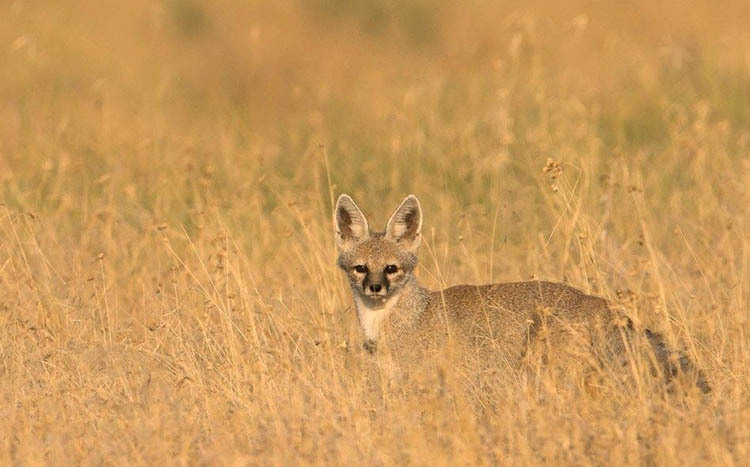 Located on the outskirts of Jaisalmer city, it is one of the largest national parks of the country. A large part of the park’s ecosystem comprises of sand dunes. The national park is frequented by several species of birds, including the rare Great Indian Bustard. There are fossil remains of plants and animals too in the region. Ranthambore National Park is one of India’s most renowned national parks. Located where the Aravali Range and plateau of the Vindhyas meet, Ranthambore National Park was once where the royals of Jaipur hunted. 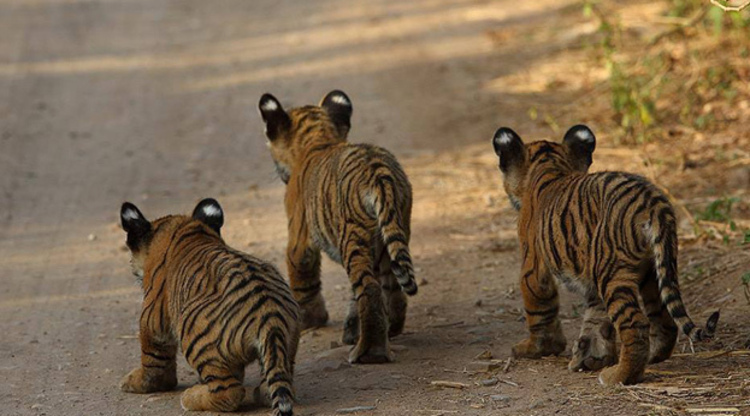 It is recognized as one of the best places in the country to spot tigers. If you are a bird lover, you will love spending time at Bharatpur Bird Sanctuary, now called the Keoladeo National Park. It is a World Heritage Site which is home to more than 200 species of different birds. Situated close to the city of Jaipur, the best time to visit the park is during the winter months when several migratory birds flock to the reserve. Its unique landscape and topography lend itself to a variety of adventure sports. From jeep safari to paragliding, the opportunities for adventure abound here. Some of these activities also show you a completely different side of the state. Parasailing – in Jaipur, Jaisalmer, Udaipur, Bikaner and Jodhpur. Paragliding – in Jaisalmer, Jodhpur. Zip Lining – in Jaisalmer, Jodhpur. Trekking – You could choose to go trekking on the Sariska-Alwar-Amer belt or the Udaipur-Kumbhalgarh-Chittorgarh belt. Cycling – in Udaipur, Kumbhalgarh, Ranakpur, Pushkar, Khejarla and Mount Abu, besides others. Jeep Safari – in Jaisalmer, Jodhpur, Shekhawati and Bikaner. Camping – in Pushkar, Bikaner, Jodhpur, Jaisalmer, Ranthambore National Park, Mandwa in Shekhawati. Wildlife Safari – Sawai Madhopur, Alwar, Bharatpur, Jaisalmer, Kumbhalgarh, Shekhawati, Udaipur, Kota, Bundi, Jodhpur, Karauli, Mount Abu. Camel Ride – in Jaisalmer, Mandawa, Pushkar, Bikaner, Jaipur and Jodhpur. Summers in Rajasthan last from April to June and are particularly harsh with temperatures rising up to 48°C during the day. If you do plan to visit Rajasthan in the summer, head to places like Mount Abu, Kumbhalgarh or Ranakpur. The weather here is pleasant and the views offered are breath-taking. During December and January, there can be a severe variation in temperatures during the day and the night dropping to 0 Degree too. This is the best time to visit Rajasthan as the desert sun is not as intense and the days are pleasant. Most of the festivals held in winter are planned as tourist attractions, with visitors coming in from different parts of the world. ‘Attithi Devo bhavo’ means to treat your guests like as you would treat God. This principle is a part of the Rajasthani people. They treat their guests well and make them want to visit again. Since many rulers ruled Rajasthan, each region has its own folk culture. Manganiyars and Langas are two prominent groups that contributed to the Rajasthan folk music. They perform ‘ragas’ (songs) for different purposes. Like during the pre-monsoon time, they would perform ragas to call forth the rains. Other famous groups are Banjaras, Mirasis, Jogis, and much more. Many traditional instruments are used by them that include sarangi, dhols, etc. Folk songs were usually for certain purposes like weddings or birth or were passed to tell a story of bravery or a romantic tale. They were usually in the form of ballads. Dance differs among different tribes. It is mainly for the entertainment of the people and the king. Some of the dances include chang, ghoomer, tejali, kathipuli, bhopa. You will find beautiful carpets, garments, jewelry and more, that are all made by the local people. Any leather item is usually camel leather – they use it making journals, shoes, and bags. The carpets are made from the hand-knitting techniques and much like Persian carpets with geometric design and borders. There are also many miniature items made out of red sand or clay as toys for kids or decoration pieces with bells attached to it. You may also find pagri (traditional headwear) in most of the shops that you may bring back as a memory from the place. Jhootis are very famous in the state. Rajasthani cuisine offers some exotic and scrumptious combo meals and dishes that are sure to delight the taste buds of foodies. Some of them are mentioned below. Bajre ki roti and Lashun ki chutney – made with bajra (millet) is a very popular and healthy flatbread that is relished across Rajasthan. Though it can be taken with any vegetable dish or kadhi, it is generally savored with onions and Lasun ki chutney that is a saucy preparation made with garlic. A staple food for the locals. Dal-Baati-Churma –It is one of the signature Rajasthani dishes that have earned popularity across the globe. 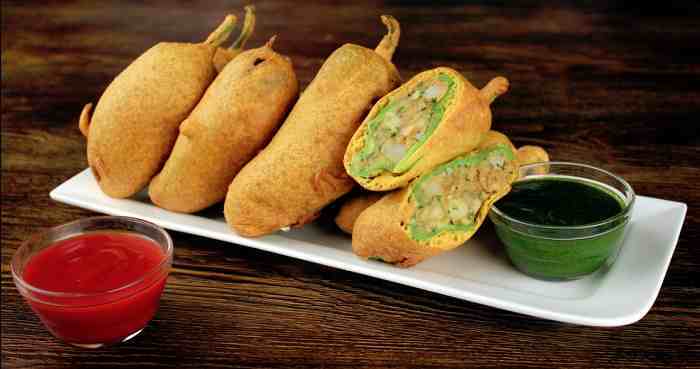 This delicious platter comprises of a combination of three different items namely a spicy Dal, a deep-fried Baati and a mouth-watering and slightly sweetish churma cooked uniquely with different ingredients. Panchmel ki Sabzi – It derives its name from the combination of five ingredients used to prepare it. This dry vegetable dish is prepared out of five vegetables seasoned with a mix of aromatic spices and gets its tangy flavor from the use of dried mango powder called amchur. Gatte ki sabzi – This is an easy to digest and popular curry of Rajasthan made of gram flour balls with the gravy being prepared of buttermilk and different spices. It can be relished with both roti and rice. Rajasthani Kadhi Unlike the kadhi preparations of many of the other states, the Rajasthani Kadhi does not contain pakoras or gram flour dumplings. It is a very quick and easy preparation that is made with spiced yogurt based gravy that is thickened with gram flour. Laal Maas – The unique feature of this hot, spicy and rich preparation is its fiery red color which it gets from the liberal use of red chilies. Mohan Maas-This regal meat preparation is counted among the yummiest and most delectable Rajasthani non-vegetarian dishes. The juicy and tender meat prepared with mild spices and milk comes with rich gravy seasoned with cardamom, lemon, and khus-khus among other ingredients, making the dish even more luscious. Bikaneri Bhujia –Originated from the Bikaner region of the state, this crispy snack made of besan (gram flour), moth beans and a mix of spices has become a household snack in India and has also gained much international fame. Kalmi Vada – This crispy and crunchy snack delicacy made of a batter of chana dal, onion, dhania seeds, chilies and other ingredients savored with chili or mint chutneys forms a perfect tea-time snack. Balushahi – It is a crunchy deep-fried sweet dish made of rounded doughs that are soaked in sugar syrup. The basic ingredients are maida (refined flour), ghee, sugar, and milk among others. Imarti – Imarti is a delectable and finger-licking non-dairy based sweet dish. It is made of urad flour batter that is deep-fried in the shape of a circular flower and then dipped in sugar syrup. 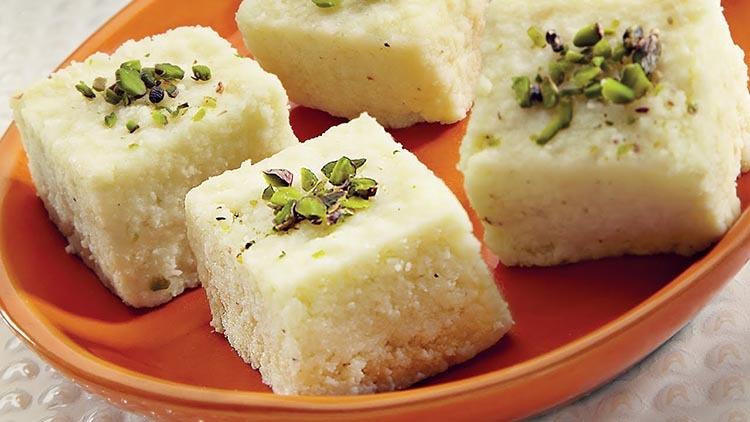 Alwar ka Mawa / Kalakand – It is a famous sweet dish that originated from Alwar, Rajasthan. Prepared by thickened and solidified milk, paneer, sugar and dry fruits, kalakand today finds a place in various Indian festivals. Rajasthan is one of the larger Indian states and distances are long, making planes a fairly good option for getting in. Jaipur, Udaipur, Jodhpur all have airports with direct links to many major cities, though if coming from a smaller city, one has to go via Delhi. You can also move from one part of the state to another by train. It can be an ideal way of travel, especially for a night journey. You can book your ticket from IRCTC. A very popular option is Palace on Wheels which is a week-long luxury train ride through interiors of Rajasthan. All the cities have public transports in form of buses. Also available are jeeps on hire. Beware of jeep drivers who overcharge tourists. There is no shortage of places to stay in the state. The top tourist destinations like Jaipur, Udaipur now cater to the needs of both the backpacking travelers with hostels and the family holiday tourists with budget and high range hotels and resorts located all over the state. Be careful when traveling alone, and avoid venturing out late at nights and beware of touts. One of the safest ways to travel around is by having a driver who knows their way around Rajasthan. Not very safe for solo women travelers to venture out after dusk.